ISTANBUL, Oct. 29 (Xinhua) -- The body of slain Saudi Arabian journalist Jamal Khashoggi has not been found yet, Turkish Foreign Minister Mevlut Cavusoglu said on Monday. The minister also told the press in Istanbul that Saudi Arabia's Chief Prosecutor Sheikh Saud al-Mojeb met with Istanbul Chief Public Prosecutor Irfan Fidan in the city earlier in the day and had "very beneficial" exchange of information about the death of Khashoggi. According to broadcaster CNNTurk, the pair exchanged pieces of evidence and information about the murder of Khashoggi, who has not been seen since he entered the Saudi consulate in Istanbul on Oct. 2. Press reports said the meeting between the chief prosecutors lasted an hour and 15 minutes, and al-Mojeb is expected to conduct an investigation at the Saudi consulate later in the day. 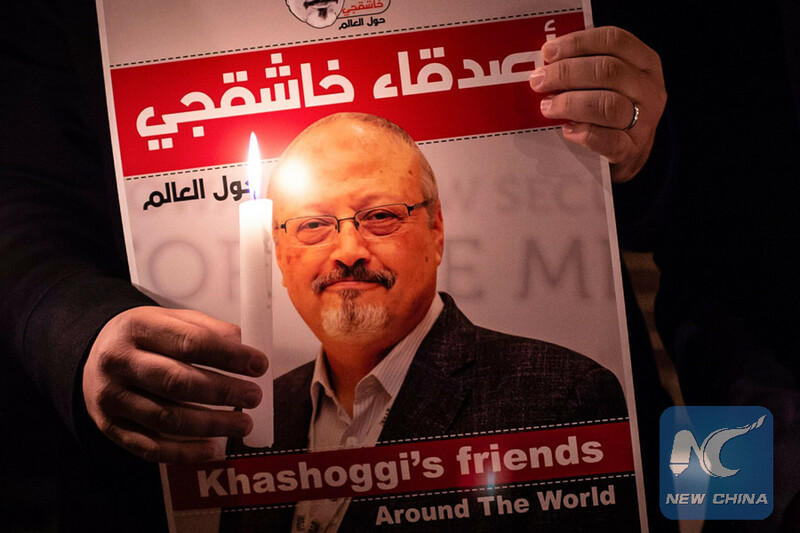 Saudi Arabia admitted that the journalist was killed inside the kingdom's consulate and 18 people were arrested over their alleged connections to the killing as a result of an internal investigation into the case. Turkish prosecutors requested last week for the extradition of the suspects for trial in Turkey, while the Saudi side said they will be prosecuted in Saudi Arabia.